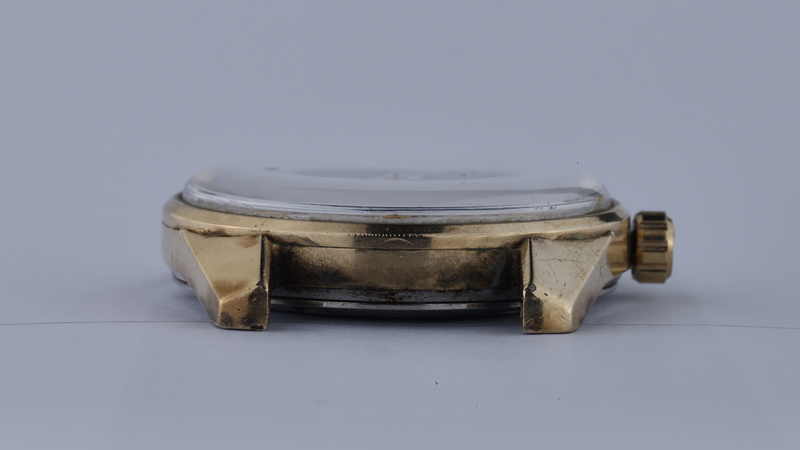 Cap gold cased examples of the 44GS – where the steel case has been “wrapped” in a thick gold plating – are extremely rare and very interesting watch. 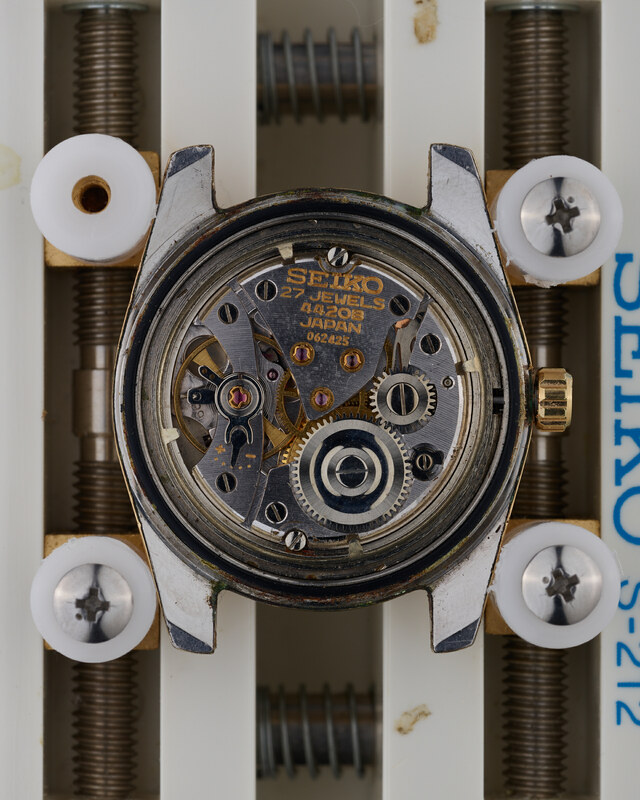 Most obviously, the case design is nothing like the “Grammar of Design” cases that were introduced with the steel-cased 44GS model. 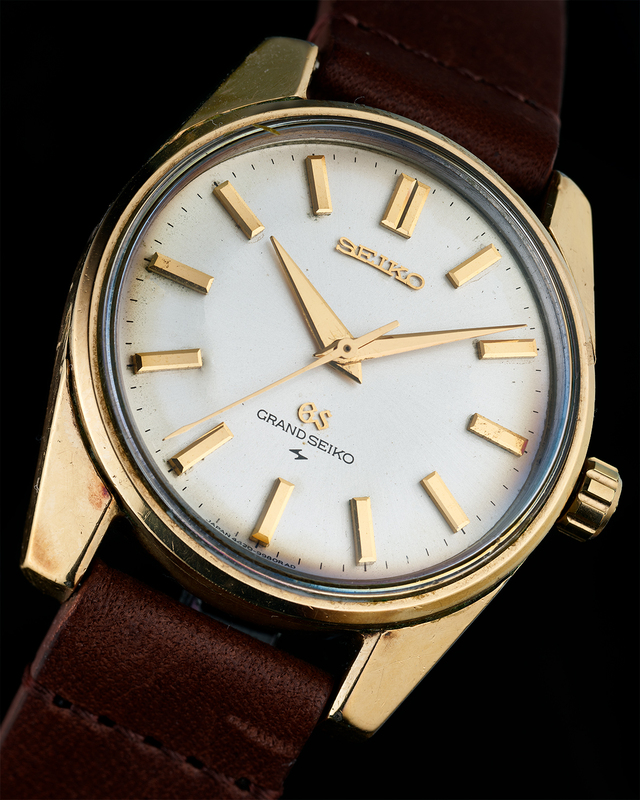 Instead, the case design harks back to that of the 57GS series, despite this watch being made in Daini Seikosha factory. 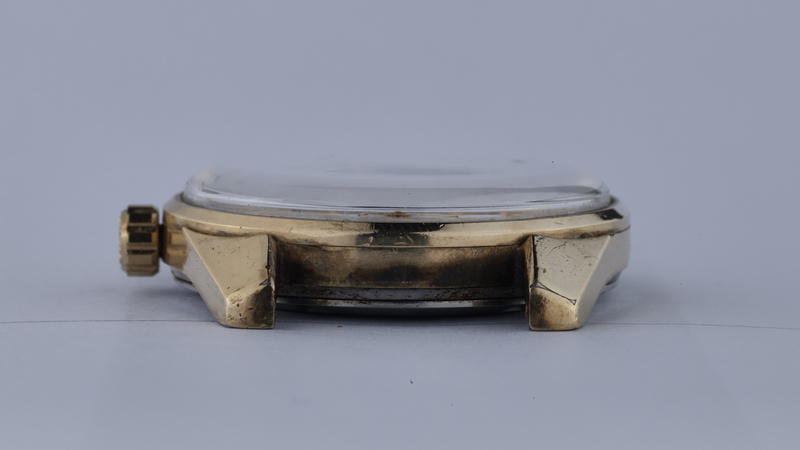 Whilst it has to be said that this particular example has undoubtedly seen better days, it is at least a very “honest” and unmolested example of this rare piece, but it would be remiss of us not to draw your attention to the obvious flaws on both the dial and the case. 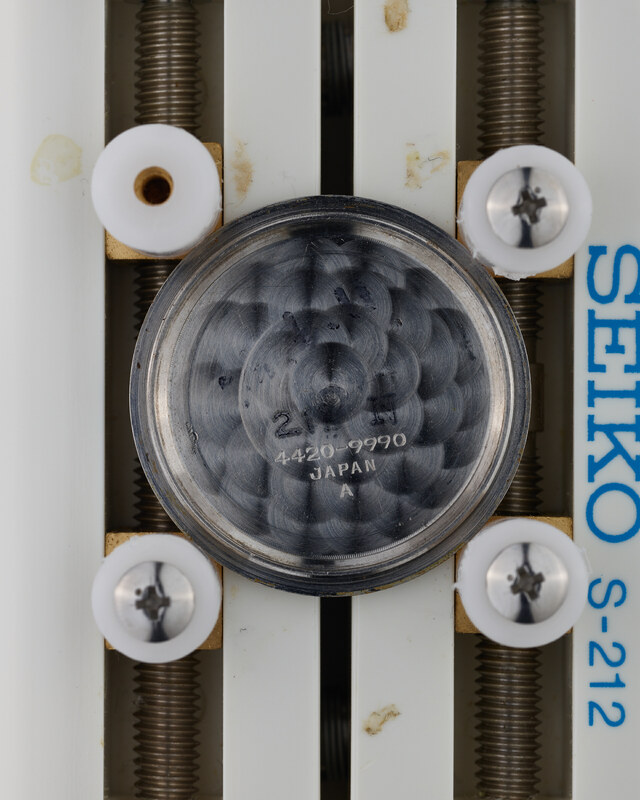 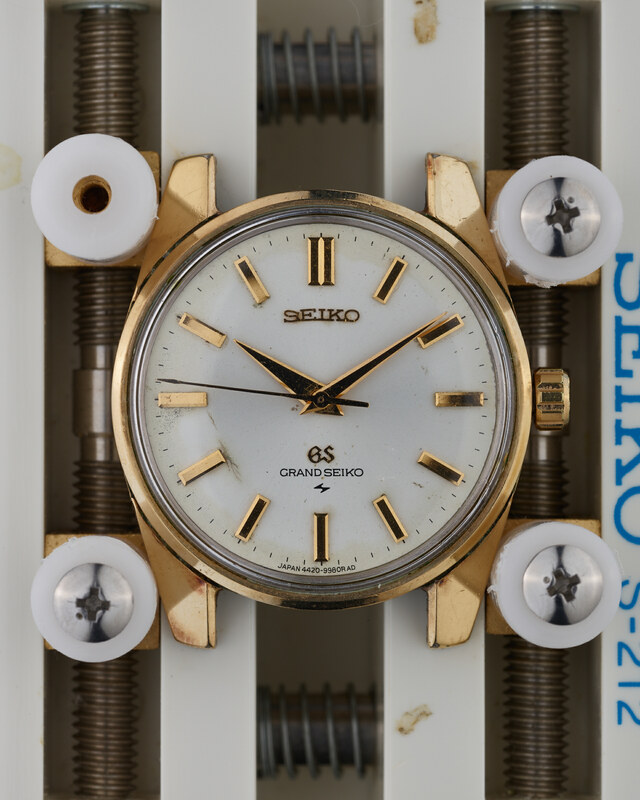 The dial has quite significant marks on it, particularly around the 8 o’clock hour marker position, and oddly, the “S” in the applied “Seiko” logo has been squashed a little. 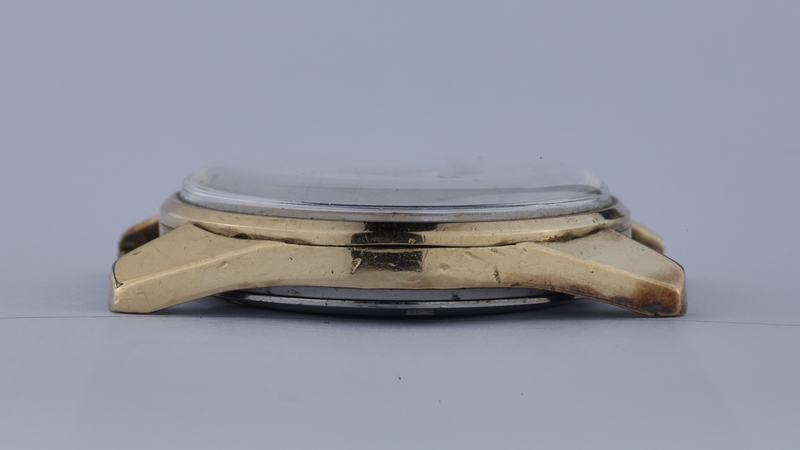 Little “dings” in the case are clearly visible in the accompanying images, which we invite you to examine carefully. 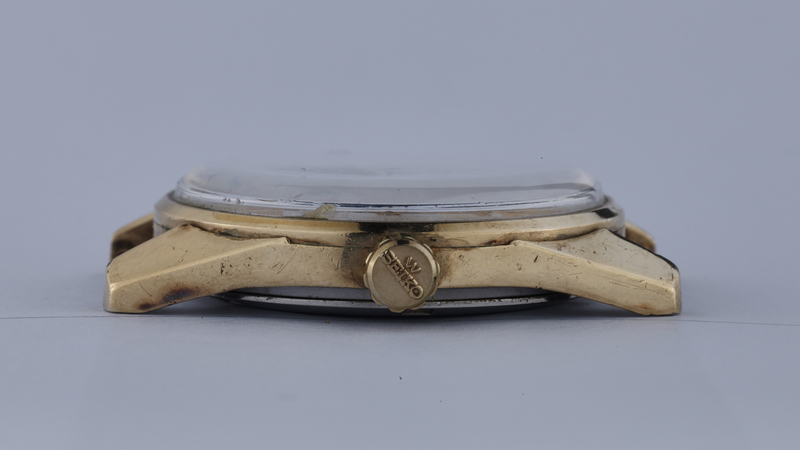 Nevertheless, this is a watch with an immense amount of character, and would make a wonderful daily-beater that you don’t have to worry too much about banging, and the condition of the watch is reflected in the asking price. 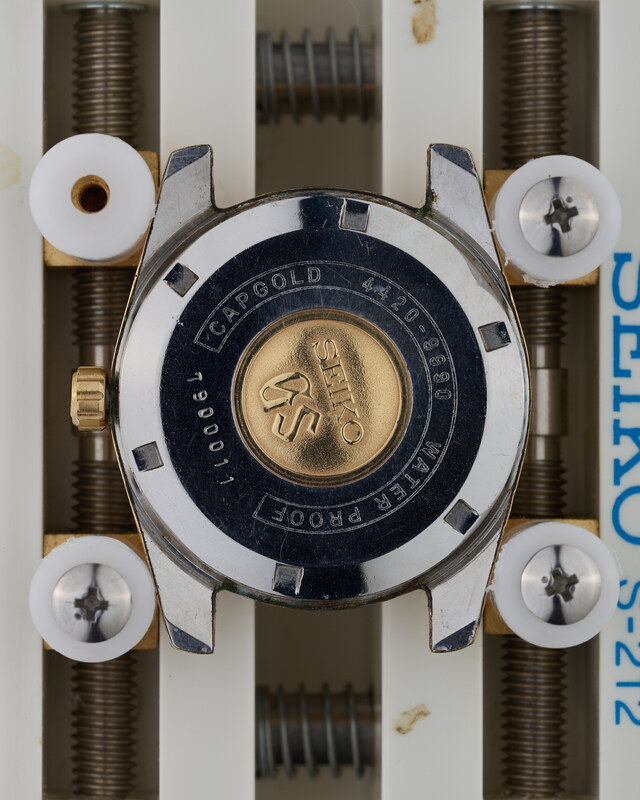 This watch was serviced in March 2018, comes with a 1 year guarantee (refer to the FAQ page for details), and is currently running at +15 seconds per day on a time grapher in the dial-up position.